Whether you are visiting Toronto for business or for a little rest and recreation, it will be nice to have the comfort of your own car, right? Better yet, wouldn’t it be nice to have your own driver to bring you to your destination or your hotel worry-free. But if you are still not convinced that having your own airport car service Toronto is worth it rather than taking a taxi then perhaps the service fee will help change your mind. Fact is the charges for an airport car service, of course depending on the type of car you will use, range from $45 up to $50 Canadian dollars. The price range is almost the same when you opted to take a taxi. However, the convenience a car service provides is not comparable to hiring a taxi. More so, you don’t need to constantly look at the map for trying to figure out if the taxi driver made the right turn or if you missed a landmark right off the last stop light. Give you convenience. Car units used for an airport car service are made sure to be spotlessly clean and in good running condition. You can then enjoy Toronto’s sights and sounds of Toronto hassle-free. More so, you will get to your destination on time. Airport car services are manned by professional drivers. They perfectly know every turns, nooks and crannies of Toronto that getting to your destination is fast, easy and on-time. More so, they are courteous and friendly, thus making your stay in Toronto more enjoyable and worthwhile. Make you enjoy the value for your money. The price range for an airport car service Toronto depends on the type of car you will hire and depends on your destination. For example, if you are traveling from the airport going to Downtown or Midtown, Toronto using a Lincoln Towncar Sedan, then price is around Cnd $48 while if you are going to The Danforth Area, Woodbine Gardens or Woodbine Heights, then the charge is around Cnd$53. While if you are travelling out of town from the airport to Etobicoke using the same car, then the price depend on the distance or total kilometers of your destination and this could range from Cnd$45 up to $493 if you are going to Detroit. The price range is competitive especially that a Sedan could seat up to four passengers. However, if you are traveling with five other companions, then you can arrange for a Cadillac Escalade SUV. The charge for an SUV is just slightly higher than a Sedan and this could range from Cnd$63 up to as high as Cnd$79 within the city proper of Toronto while if you are traveling out of town, then the charge is about Cnd$65 going to Etobicoke to $569 if going to Detroit. With this said, arranging for an airport car service Toronto is a better option than taking a cab. 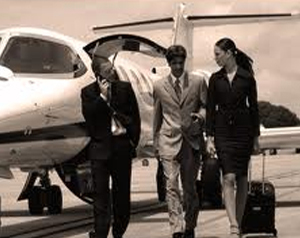 So, check out the online list of airport car service providers and start traveling in style and convenience.